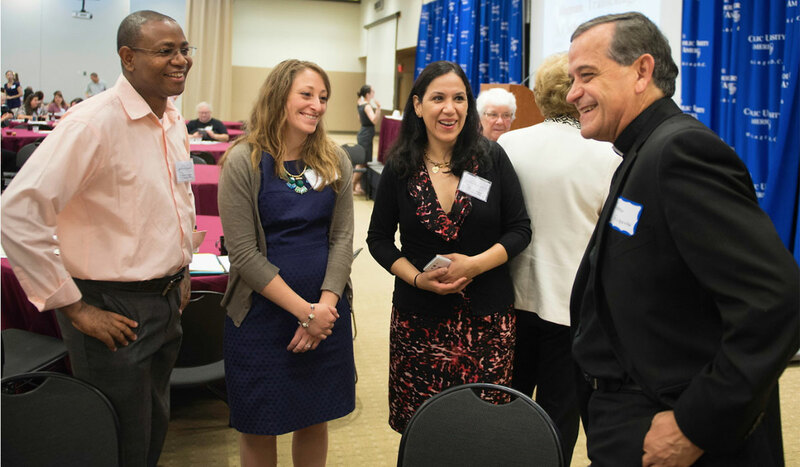 Derived from the mission of The Catholic University of America and that of the social work profession, the mission of the National Catholic School of Social Service is to educate students from diverse faiths and cultures who in their professional endeavors will embody the values of social justice, service, and scholarship. This mission is grounded in the justice and charity foundation of Catholic social teachings and the tradition of a modern university that welcomes all forms of human inquiry. To advance knowledge, values, and competencies through the development, application, and dissemination of theory and research relevant to the social work profession. To serve and empower vulnerable, oppressed, and impoverished people and communities. To promote social and economic justice and individual and societal well-being in the context of The Catholic University of America, the social work profession, and the needs of the local, national, and global communities.